Henley 2nds travelled to Finchampstead on Saturday, with both sides needing to win in order to mitigate a somewhat shaky start. Henley 2nds travelled to Finchampstead on Saturday, with both sides needing to win in order to mitigate a somewhat shaky start. Finchampstead having lost their opening 3 matches while Henley’s progress had slipped away somewhat after their week-1 victory. Under cloudy skies, but on a pitch that certainly looked as if it had more than a few runs in it, Finch captain Simon Bell won the toss and elected to bat. Openers Jenkins and Lane began solidly enough, before Harry Jordan (2-18) prised both out, the latter in particular being undone by a ball that angled in to him and did just enough to find the edge. It wasn’t long before Wheeler got in on the act, first dismissing Bell with a leg-stump yorker, then extracting the middle order of Eaglesham, Adkins and Predgen in quick succession, leaving Finchampstead on 48-6 and Wheeler’s final figures being 5-24. Dunstan and Brock cleaned up the tail and Henley had a modest target of 60 to chase. 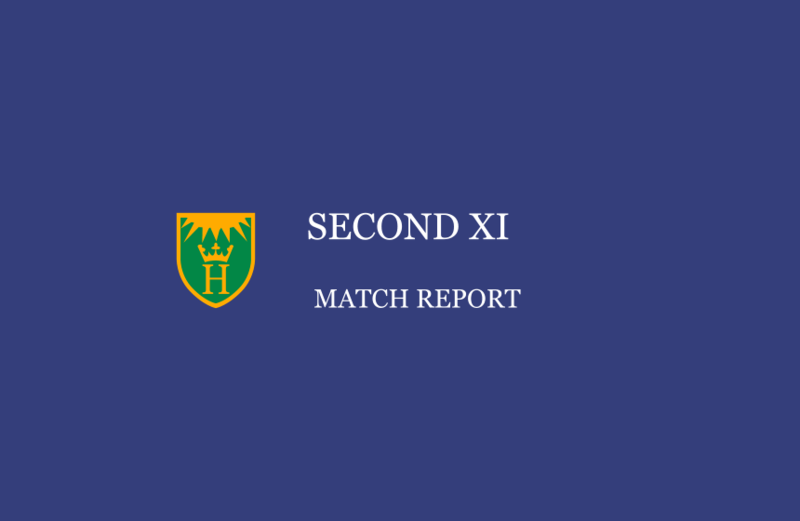 Any hopes that Finch had of applying the same pressure on Henley’s batsmen were quickly dismissed as Barnes (42*) and Goodson (18*) set about their task efficiently, dispatching the required runs in a mere 6.2 overs to seal a 10-wicket victory.